Blue Forest have recently completed work on an innovative woodland retreat to help vulnerable children at Fairfield General Hospital in Bury. The Hope and Horizon Woodland Retreat will provide a soothing and uplifting environment which will positively affect the users and form a natural oasis within the stark institutional environment of the hospital buildings. What is it? 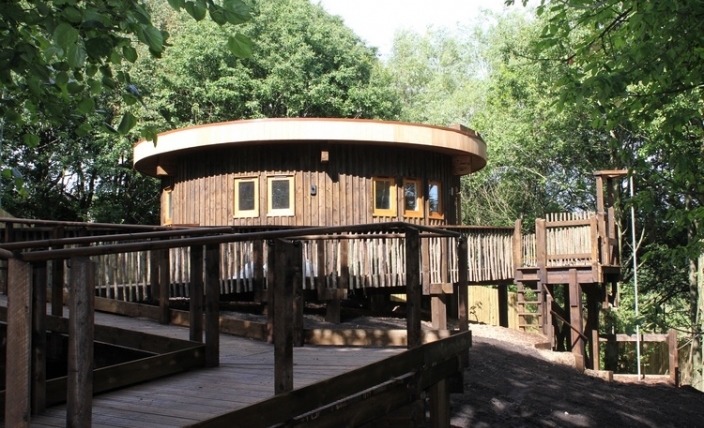 The retreat is the UK’s first treehouse-style mental health unit for 13-to 18-year-olds. The 40m2 urban lodge, built using sustainable resources, has been designed and built by Blue Forest. How does it help? 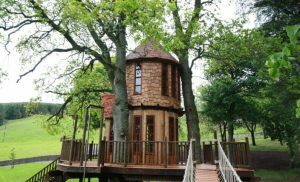 The treehouse has been designed to provide young people with a safe and stimulating environment in which to play, relax and learn. As well as undergoing therapy, they will be able to complete school work, watch films and participate in nature-based activities.